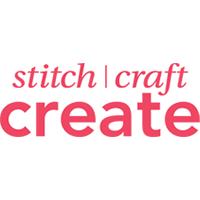 Stitch Craft Create website bills itself as one of the largest arts and craft resources in the United Kingdom, and promised to offer the lowest prices on all of their products with a “price match guarantee”. Individuals will be able to purchase bulk arts and craft supplies directly from this retailer, but will also be able to pick up supplies and tools to do a little bit of sewing, knitting, crocheting, and other crafts that interest them. A hobby shop through and through, they also provide tips, tricks, and tutorials for those that are hoping to learn more about the crafting world. All orders in the United Kingdom over $30 ship free of charge. For most up to date offers check out Stitch Craft Create on Facebook and Twitter or contact Stitch Craft Create Support for any questions.